Much of the East Coast is still reeling from the infamous Frankenstorm that struck our shores this past October. As its storm-nickname suggests, Hurricane Sandy was a bizarre and indomitable intermixing of atmospheric events. Because its path was so atypical, its magnitude felt that much more frightening. It’s not often a hurricane of such strength spirals toward the Big Apple, the most populated city in the United States at 19 million people. Natural disasters remind us of our vulnerability as a species. They remind us that we cannot control everything. They remind us that we can do our best to prepare for the worst, but even our best defenses are not imperishable in the face of nature. And they probably never will be. In reality, New Orleans will never be completely safe from flooding, and the Jersey shore will probably get hit again. But what if we can understand these disasters better? What if we can at least get a stronger and stronger grip on how and why they form? Advances in technology have helped us to predict earthquakes and hurricanes much more accurately than just ten years ago. Advances in engineering have helped us to better protect what we love—our family, friends, homes, towns and cities. Natural disasters are a pertinent STEM topic, relating to how and why they occur as well as how we can build defenses to protect ourselves against them. That’s why we’re featuring our book, Natural Disasters: Investigate Earth’s Most Destructive Forces with 25 Projects for STEM Friday this week. This title introduces young readers to nature’s most common and destructive disasters throughout history, explains what causes them, describes their impact on civilizations, and tells how people today cope with natural disasters. Readers are taught the science behind these natural events, and then challenged to put their technology and engineering skills to use as they build a wind tunnel, experiment with wind speed, and construct a shake table. 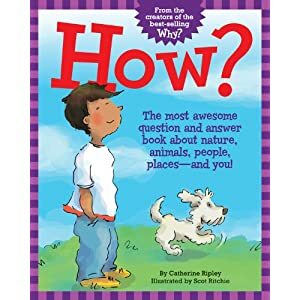 Among other things, this book teaches readers that the more we know, the more we can do, which is very much a STEM theme! Two snow leopard cubs sleep in a den in the Hindu Kush Mountains of Pakistan. They are waiting for their mother to bring back food. The boy cub awakes and decides to explore outside the cave. His first lesson learned almost turns out to be his last lesson as a golden eagle approaches the cub. Fortunately for him, his mother arrives in time to swat at the eagle and chase it away. The beginning to Sandra Markle’s narrative tale of two endangered cubs grabs you and leads you to further reading as you want to learn about the early life of these snow leopards. We follow the cubs as they learn to play and observe their mother hunting. She teaches them many lessons. Rubbing your cheek against a boulder leaves a scent to tell other leopards that this is your hunting ground. Students will make the connection to a house cat rubbing against their owner’s leg. Another lesson taught is to be quiet while you are hunting. Noisy play is fun, but it can also lead to empty stomachs as potential prey is scared away. Challenging terrain and speedy potential meals like the ibex mean a snow leopard also has to be fast and able to stay on its feet as it pursues food in the rugged mountains. As the female and male cubs grow, they learn other lessons about guarding food, picking your battles, and keeping away from humans. Before too long, they are ready to leave and start their own families. The beauty of Snow School lies in Sandra Markle’s storytelling. Each lesson learned by the cubs is an engaging read. There are plenty of facts imparted, but you get good storytelling as well which makes it more interesting than a straight up informational text. Alan Marks’s illustrations of these beautiful animals will hook readers as well. This book would be a great resource for an animal report. It would be a good challenge for students to have to glean facts from the narrative instead of having the information dropped in their laps. Snow School will teach many students about a fascinating animal in an unfamiliar setting. Copyright © 2013 Jeff Barger All Rights Reserved. Unlike the grasshopper of Aesop’s Fables fame, many insects begin their winter preparations while the weather is still warm. In late summer Monarch butterflies get ready to fly to Mexico, honeybees cap off their cells full of pollen and nectar, and ants stockpile seeds of all sorts and sizes. Dragonfly nymphs curl up in the mud. Not only does the mud protect nymphs from cold, but it hides the nymphs from hungry fish. Ladybugs are more gregarious – they snuggle in hidden ladybug clusters until spring returns. 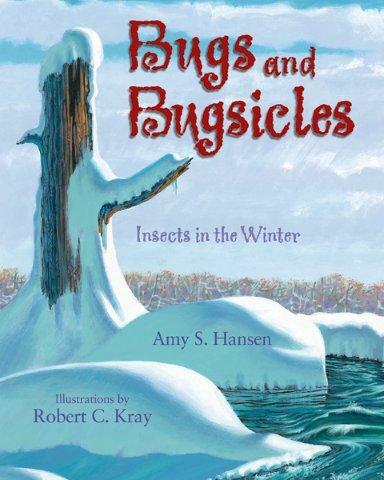 Then there are the bugs that go into “diapause” – a state of dormancy that allows them to survive temperature extremes – and others that simply freeze, turning into bugsicles, like the Arctic Woolly Bear caterpillar that Amy Hansen writes about in Bugs and Bugsicles. Hansen provides detailed notes on how the Woolly Bear pulls off its bugsicle act, and includes two hands-on investigations perfect for playing around with next time it’s too frigid for playing outside. You can check out more about bugsicles and insect antifreeze over at Archimedes Notebook. Review copy provided by publisher. 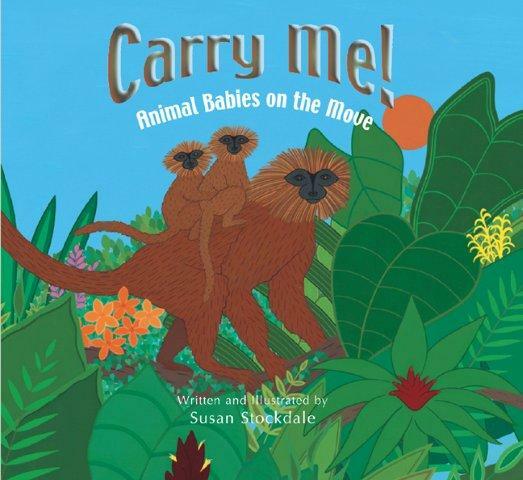 learn how animal parents carry their young over at Sally’s Bookshelf. 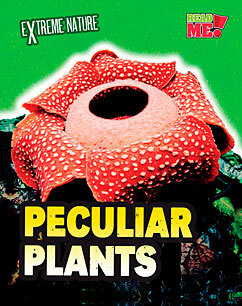 Wrapped in Foil reviews a book about peculiar plants. Categories: STEM Friday round-up | Tags: insect adaptations, STEM Friday, winter | Permalink. STEM Friday: How? The Most Awesome Question and Answer Book About Nature, Animals, People, Places – and You! How? The Most Awesome Question and Answer Book About Nature, Animals, People, Places – and You! How do candles stay on fire? The wax melts, turns into gas, and feeds the flame. There are two parts to a wax candle: the wick and the wax. The wick is a special string found in the middle of the wax. When you light a candle, the match or lighter heats up the wick to the point where it bursts into flame.